The Chains and Wintergirls maestro shows she can make you laugh too. A gritty, witty tale of a streetwise girl roped onto the prom committee. Laurie Halse Anderson never stops surprising us. She’s written about slavery. And anorexia. And now it’s time for – uh, the prom. Everyone is totally excited about it. We are. Only Ashley couldn’t care less. She’s too busy worrying about her crazy family and her flaky boyfriend, TJ. 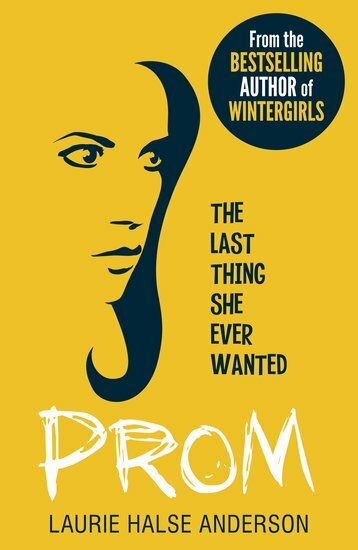 (Sweet, but a loser with a capital L.) But when disaster strikes her Philly high school, Ashley learns a bit about making a prom happen… and a lot about making life happen. One wry, straight-talking heroine. One heck of a party – and one awesome book, which all you fans of The Spectacular Now will adore.